Who is behind it all? 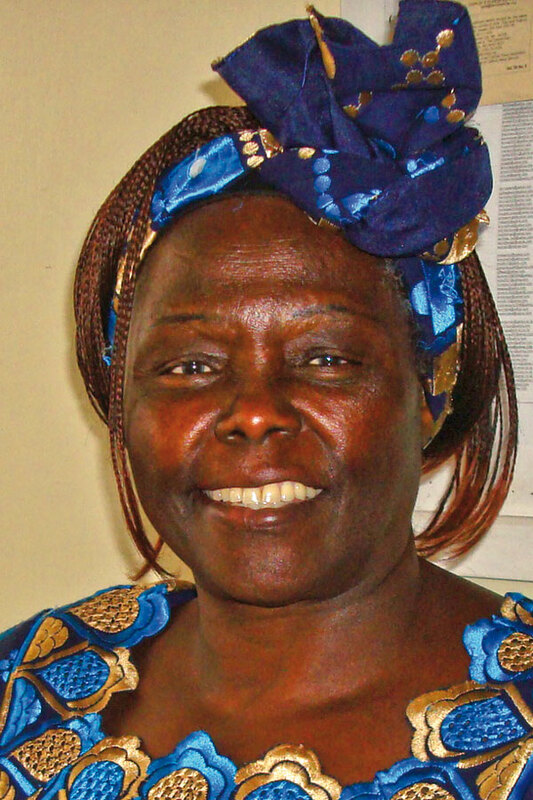 Wangari Maathai was born as a farmer’s daughter in 1940. Her list of “pioneering” is most impressive. She was one of the first woman in East and Central Africa to earn a doctoral degree and subsequently became the first female professor for veterinary medicine. Even more so than in her academic career she has also been a pioneer in the political arena. Opposing the corrupt government of Daniel Arap Noi she was numerous times arrested and even tortured. Amnesty International often came to her rescue as she expressed: “I cannot count the many times you saved my life and made my work possible. “ In 2002 she was elected to Parliament and became Deputy Minister for the Environment. She founded the Kenyan Green Party and was the first Green politician in Africa to be elected to government. Although a veterinarian by profession, Wangari Maathai made trees the focus of her life. In 1997, she founded the Green Belt Movement (GBM). Besides tree planting, the organization is active in civic and environmental education and advocacy and networking. Wangari established over 600 tree nurseries in 13 African countries and has planted 40 million trees with GBM. “Mama miti - Mother of trees” as she is called in Sahili has now set an even more ambitious goal: to plant 1 billion trees within the next decade. Already in 1984 she was awarded the Right Livelihood Award for her work with GBM. Ten years later she was the first African woman ever to receive the Nobel Peace Prize for her achievements in “sustainable development, peace and democracy“. She is a most impressive “living proof“ for the interdependence of peace and a healthy environment. With her outstanding work, Wangari Maathai personifies all objectives of the OWA, especially the aspect of “peaceful community building“. All of her work is solidly built on the three pillars of sustainability. As a tireless campaigner and activist for environmental conservation, democracy, human and especially women’s rights, peace and justice she puts the objectives of the One World Award into action on a global level – motivating us to do our share for reaching our common goal to make this world a better one.